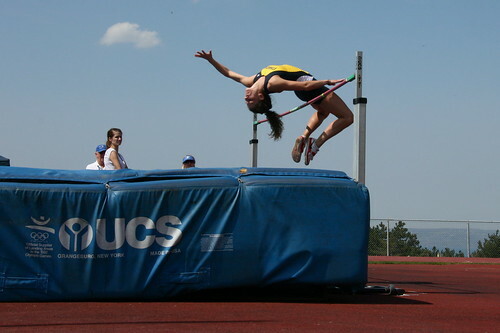 Jessica Bolduc '12 grabs for the bar during the Harriett Marranca Memorial Invitational. Get the latest Bombers' scores. Ithaca’s won its share of national championships (15 team and 25 individual titles), but never before have three different athletes won individual honors in the same year, let alone the same season. Here are IC’s national champions from 2011. 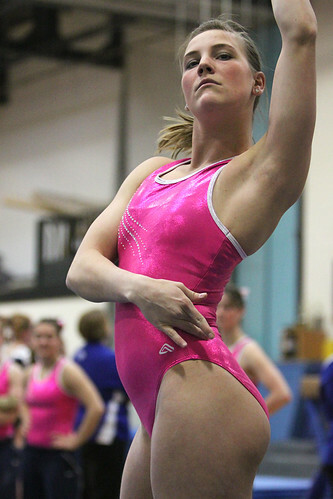 National Collegiate Gymnastic Championships: Jessica Bolduc ’12 won the floor exercise. NCAA Women’s Indoor Track & Field Championships: Emma Dewart ’12 finished first in the pentathlon. NCAA Wrestling Championships: Seth Ecker ’12 took the national title at 133 pounds.